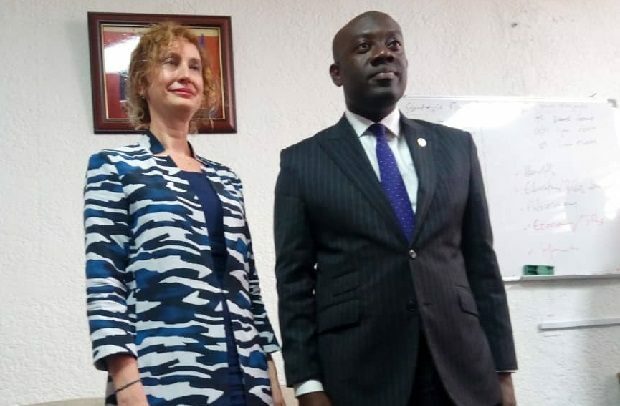 The new Turkish Ambassador to Ghana, Ozlem Ergun Ulueren made this known on Tuesday in Accra when she paid a courtesy call on Information Minister, Kojo Oppong Nkrumah. Ambassador Ergun Ulueren who has been in Ghana about two months ago, spoke about a wide range of projects that Turkish companies and institutions have been embarking on in the country since Ghana and Turkey entered their bilateral relationship in the 1960, three years after Ghana gained independence. He told the ambassador other sectors of the economy that needed investments and that which Turkish investors or companies could consider for business. Specifically, he mentioned the agricultural, tourism, industrial sectors and the capital market.